Eleven boarders enjoyed a sightseeing tour of Oxford yesterday, organised by Mr Harding. In blazing spring sunshine and mild temperatures, the group took in the key sights of Oxford, but still managed some free time for lunch and shopping. 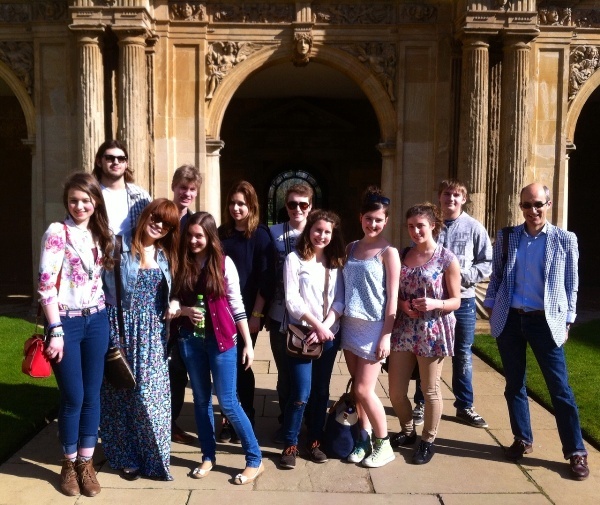 Here they are in the main quad at St John’s College.